If you’re looking for a great new challenge that’s safe, family-oriented, and satisfies both your competitive spirit and your thrill-seeking side, we’ve got something for you. It’s the fastest-growing sport of its kind, and takes archery to the next level. It’s called Archery Tag. Archery Tag is new and exciting, and it’s a form of combat archery that’s fun but safe. 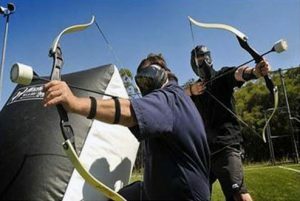 More physical than similar activities, like Laser Tag, Archery Tag will excite you as much as paintball, but without the bruising or welts. The bows used are lower powered recurve bows. The arrows are foam-tipped, non-intimidating, but still quite real. Forget about shooting light beams at your buddies; fire arrows at ‘em instead! Archery Tag consists of teams of five players, beginning on sides across from each other separated by a safe zone. There are two types of play: league and elimination. First, there’s the league-style play, where the object of the game is to score as many points as possible in a short amount of time, usually five to 10 minutes. It all depends on how many players there are and scheduling. Teams score points in various ways. Even when hit by an arrow, though, players in league-style play stay in the game. Shooting an opposing player with an arrow in any part of the player’s body, including his or her head. Hitting an opponent on his or her clothing. Shooting an opponent and hitting his or her equipment, including bows, arrows, masks, and so forth. Knocking a spot completely out of the opposing team’s target. League-style play isn’t exciting enough for you? There’s also elimination-style, a terrific choice for more experienced players or those seeking more risk. Here’s how elimination-style play works. The goal of the game is to have the most players and target spots remaining at the end of a timed game. Depending on scheduling and number of players, this is usually five to 10 minutes. You eliminate your opponent’s target spots by, of course, shooting them out. The player’s body, including the head. Any and all clothing, meaning the player’s uniform. Any of the player’s equipment, including his or her bow, arrows, mask, etc. The player shoots an arrow that an opposing player catches mid-air. Sounds Great, so Where do I Sign Up? Archery Tag is a franchise, run by independent franchisees. 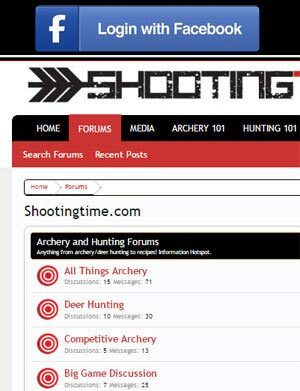 You can find a place near you by visiting Archery Tag’s location finder. Look for tags with an “A” or “AS” to find an Archery Tag near you. The “S” is for S.A.F.E. Archery, which is similar to Archery Tag in its family-friendly and safe nature, but not the same game. Can I Start My Own Archery Tag Franchise? If you want to run your own Archery Tag location, you might be able to. You need to have access to a field matching the size of a standard, regulation tennis court. That means 78 feet (24 meters) long by 36 feet (11 meters) wide. You’ll need to apply for and purchase a franchise license, as well as buy the necessary equipment. You’ll need at least one employee to run and referee an Archery Tag game. 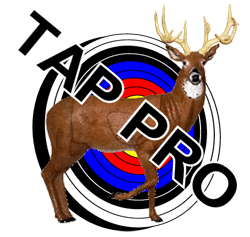 Get more information from Archery Tag’s packages and pricing page.